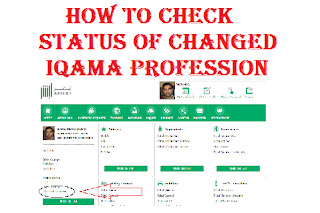 Before this i write a post on how to change iqama profession so after change how can you check your new profession i write with simple steps in this post. You can check your changed iqama profession status only with some clicks. As i write a post before on MOI Absher registration process. Many people do not know about online services and waste the time by going to kafeel and government officials. 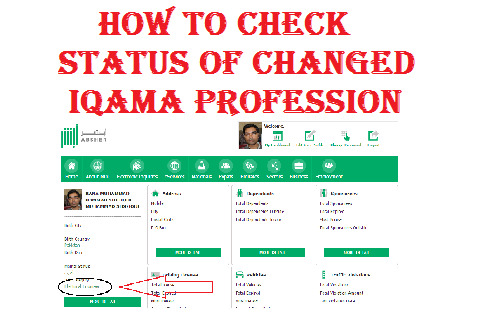 Even people still do not know how to change Iqama Profession.To check the status of changed iqama profession follow below simple steps. 1. First, register with MOI Absher Saudi and open your account it's free if you do not know follow this link. 2. Sign In at MOI Website change language to English and click on dashboard. 3. After clicking on the dashboard you will see current profession at left side below picture as shown in the picture below. 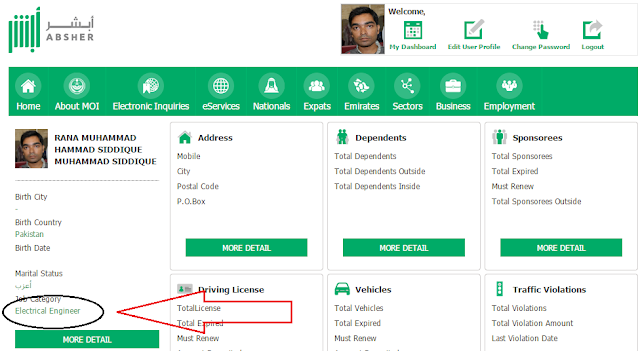 How can we check iqama validity and status both? Iqama Status and Validity Check.